IT was barely 12 months ago that Simon Gerrans was convinced to delay retirement after a phone call from Richie Porte. Porte's request was simple - join BMC and help him win the Tour de France - but far more difficult to execute. 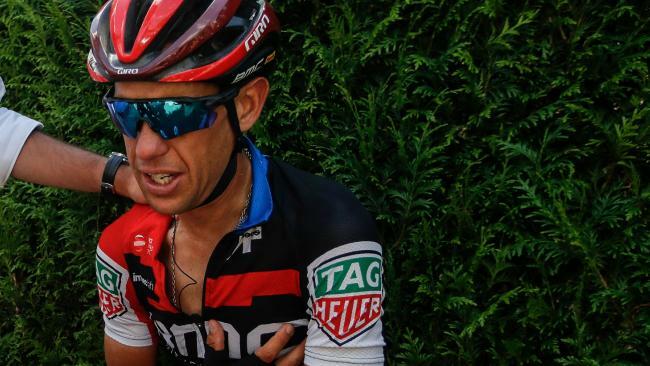 Yet neither could have ever imagined that, a year on, Porte's Tour campaign would once again be over inside nine days after another crash. 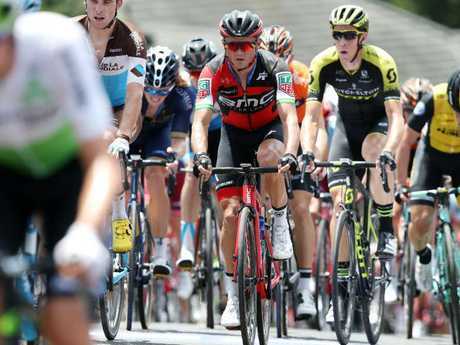 Porte so desperately wanted a good Tour de France result and Gerrans was rejuvenated by the responsibility of helping him. Yet even Gerrans, a positive-thinking veteran who has won some of the biggest races in sport, struggled to process what less than 10km into Stage 9 to Roubaix. "I crashed and hit the ground when Richie did. I think I was still sliding down the road and I'm on the race radio saying 'Richie's crashed! Richie's crashed!'" Gerrans told the Herald Sun. "I picked myself up and the first thing I did was found out where he was to see if he needed a bike or anything, and straight away he had his hand on his shoulder. "He said 'I think I've done my collarbone' I said 'Are you sure?' and he said 'Yeah, I'm pretty sure'. I went to try and scramble for a bike to get going myself because I knew his Tour was done. "The reality of what had happened only kicked in a couple of kms up the road. I was desperately trying to get back into the peloton because it was so early in the stage and the realisation sunk in and I was just devastated for a while there. "I thought 'S..t, I've got to survive this stage, but what am I here for? My big goal for the race was to support Richie and now he's out'. "Honestly, for that whole stage I was pretty down in the dumps." Porte flew home on Monday's rest day where he will spend a short period off the bike before building up for the Tour of Spain and the world championships. "I was actually on the phone to him this morning on the way to the start just to check on him and how he's doing," Gerrans said.